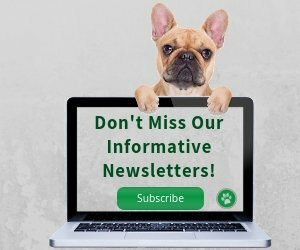 THANK YOU for visiting natural-dog-health-remedies.com. I sincerely hope that this website has been able to provide you with valuable information on common dog health issues and insights about using natural complementary remedies that are useful for your dog. If you are wondering who created Natural Dog Health Remedies and wrote all the pages on this site, well, here I am! I started this site in April 2008 when my husband and I were working and living in Japan. It was very hard for me to get relevant and up-to-date information on dog health and natural holistic dog care back then. 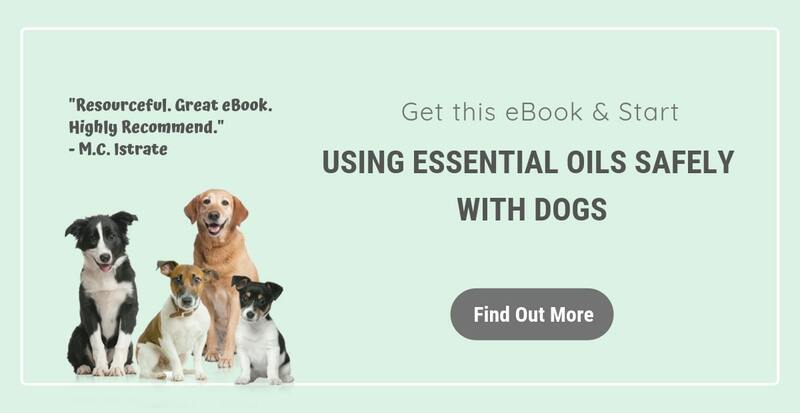 Partly out of necessity, but mostly because I wanted to learn more, I read, studied, and researched extensively on dog health, holistic dog care, and using natural remedies and products to help support and maintain optimal dog health. This site is the "result" of all my training, reading and research on these fascinating subjects. My goal is to create a website that provides accurate, well-researched, and up-to-date information on dog health and care, and natural remedies that are safe and effective for the wellbeing of dogs - our best friend and companion. I have a Masters degree in Linguistics. While it's got nothing to do with dog health, I have become very good at research because of my studies! I am "well trained" in digging out and digesting "dry" information from research papers and presenting the information in an easy-to-understand way. More relevantly, I am a certified aromatherapist at clinical level and a member of National Association for Holistic Aromatherapy (NAHA). I have also taken courses on animal aromatherapy offered by Japan Animal Aromatherapy Association. 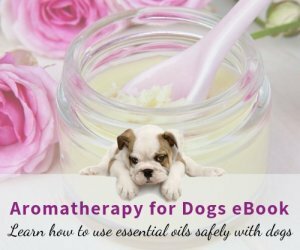 While in Japan, I have taught courses to dog parents on how to use essential oils and hydrosols to help enhance dogs' physical and mental wellbeing. I strongly believe that as a dog parent, we have to be responsible not only for the health and wellbeing of our dogs, but at the same time, for the environment as well. In other words, we should try to help our pets leave as few "carbon paw-prints" as possible. A wholistic approach to dog care is, in my opinion, to use as much as possible, environmentally-friendly pet products, natural diets and remedies to raise our dogs and keep them healthy. Please bear in mind that I am NOT advocating using only natural remedies to treat our pets, nor am I against conventional veterinary practice. It is important to have a good relation with our vets, and their advice and suggestions should be heeded. 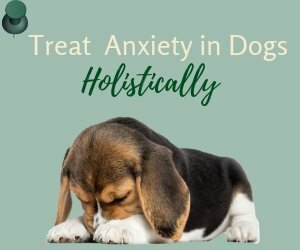 However, by educating ourselves and learning that there are alternative or complementary ways to treat our dogs, we are empowered and more in control of our dogs' wellbeing. If you find this site useful, please tell your friends about it. Subscribe to our monthly newsletter to stay in touch if you haven't already done so. If you have any suggestions and comments about this site, please feel free to contact me. You are also warmly invited to share your experience and be part of our "Natural Dog Health" community. Share your lovely dog pictures, stories, or useful remedies on our Facebook page. If your dog is unfortunately fighting canine cancer, share suggestions, advice, and support in our Dog Cancer Forum. 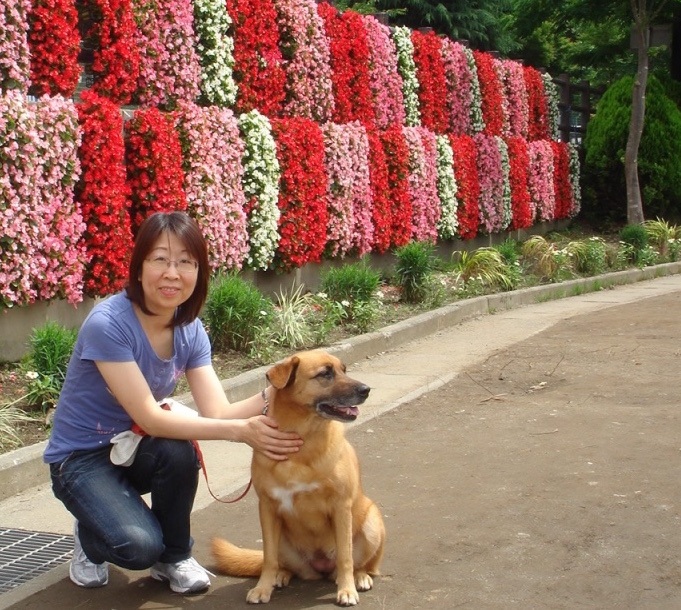 When my dog Hana passed, I was feeling inconsolably sad and helpless. Thanks to the support of my family and friends, I could finally get a grip on my emotions and I think I've become stronger and more compassionate! As a result of this experience, I have set up a FaceBook Support Group called Pawsome Fur Angels for those dog parents who have lost, or are about to lose, their furkids. We now have an amazing group of dog parents who understand, support and encourage one another, because we are all in the same boat. If you know of any dog parents who have lost, or are going to lose, their furkids, please refer them to this group. To your dog's health, naturally!